Help! I’m a New VBS Teacher! As a first time VBS teacher you’re probably feeling a little overwhelmed. But don’t worry, there are TONS of tools to make you successful. We’ll look at a few of them today. But the real secret sauce for VBS is preparation. You simply cannot be successful without it. So with the clock ticking down to the start of VBS, let’s take a step back and evaluate where you are and make a plan to ensure you start strong and end strong! Here are 5 steps to success as a VBS teacher. Spend time in prayer. Ask God to give you what you’re going to need for VBS. Ask Him to give you patience, creativity, and flexibility. If you’re short on help, ask Him to send more volunteers. If you’re worried about taking on the responsibility of teaching kids, ask Him to calm your spirit. Pray for the kids you will teach. Ask God to already begin working in their hearts and preparing them to hear and respond to the gospel. Pray for your fellow leaders. Bathe your entire VBS in prayer! God’s Word never returns void. So as you study the passages you will be teaching during VBS, God will be teaching you too. And as the Holy Spirit works in your heart and brings clarity to your mind, you will be better prepared to teach. You’ll be teaching out of the overflow of what God is teaching you. So go ahead and read through all 5 Bible stories that you’ll be teaching to kids during VBS. Use the leader devotions at the beginning of each session in your leader guide as your own personal Bible study. Get your heart ready to teach. Practice telling the Bible stories out loud in your own words. Do it in front of a mirror to see how your gestures and facial expressions either enhance or detract from the story. Test activities and crafts ahead of time. They’ve already been tested by the people who wrote the curriculum, but you need to test them and make sure that all of the instructions make sense to you. You need to see how long it takes and what kind of adjustments need to be made for your kids. See if you need to substitute any supplies or adapt the activity in any way. Curriculum is a good starting point. It’s a great guide. But you know your kids best. Feel free to adapt, change, toss out, or add to this guide to match your kids, your resources, your schedule, and your preferences. You’re the teacher. You know best. Own it! Get together with your teaching team. Divvy up responsibilities so that everyone has an equal share. Don’t try to do it all yourself. I like to have one person be in charge of large group each day and all of the other teachers to each take responsibility for a small group activity each day. That way there are lots of choices and variety for the kids to choose from, but no one is overloaded by the amount they have to prepare each day. Go ahead and print everything out that you need from the CD-ROM included in the leader pack. Cut out and prep your pack items. Get boxes or large paper grocery bags and label one for each day 1-5. Then as you prep pack or CD items, go ahead and put them in the box/bag when they’ll first be used. As you collect supplies, go ahead and put them in the appropriate box. That way when you get ready to leave for VBS each day, you just grab that day’s box and go! VBS can be chaotic, but don’t lose your cool. Keep your focus on the main thing—the gospel. VBS is all about creating an environment where the gospel is preached, taught, and lived out through every song, every game, every moment. Your job is to build relationships with kids so that you earn the right to share the gospel. It’s to live out what Christ’s love is like so that boys and girls can experience it. When viewed through the lens of the gospel, VBS takes on a renewed purpose. Suddenly, every job is important. Snack ladies are no longer “just snack ladies.” Recreation leaders are not just responsible for wearing kids out so that they can sit still and listen longer during Bible study. 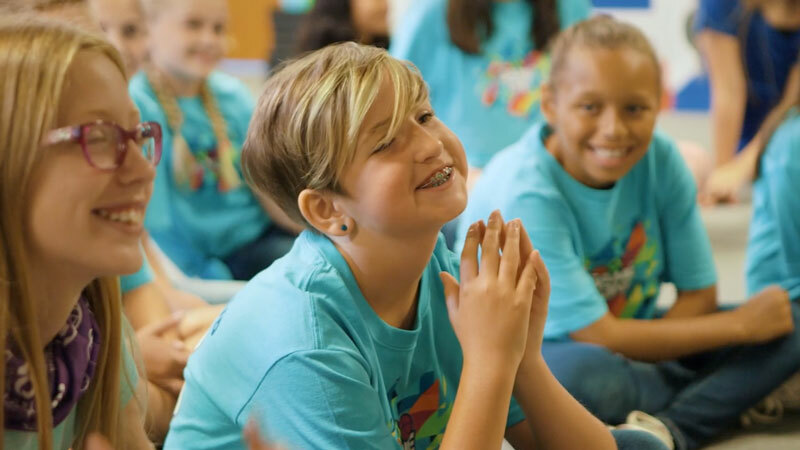 No matter your role during VBS, your primary responsibility is to love on kids and watch for opportunities to talk to a child about what the Bible teaches and about what the Holy Spirit might be saying to him or her. So there you go—5 quick steps to start you on your VBS journey. You’re going to do great! Just take a deep breath, pray, get organized, and keep the goal in mind. You can do this! Hello. The Administrative book says there is a one day, weekend, and two week schedule on your website. I am not able to find it. Can you direct me? https://vbs.lifeway.com/downloads/ Click on “helps” and then look for “alternate schedules.” That’s the file to download. Is there a registration form for volunteers and kids that Lifeway has? Yes, it’s on the Administrative Guide CD-ROM. We also have a tool for online registration called KidEvent Pro (kideventpro.com). I am asking for my wife. We need a better explanation of how to use the “New Testament Lacing Cards” in the grade 3 packet. Can some give a better description of the game than given in the book? Thanks. Sure! First cut apart all 6 lacing cards (pack item 17). With a hole punch, punch a hole everywhere you see a circle on the cards. (There are 11 on each card.) Then cut 6 pieces of yarn, each 2 feet in length. Tie one piece of yarn on each card (through the very top hole in the white arch). Make sure to tie it near the end so you have a lot of yarn hanging down. Now, fill every other hole on the cards with a brad. Keep the brads loose enough to wrap the yarn around. Kids will read the top left name of the book of the Bible on their card and pull the string from the top and wrap it once around that book of the Bible. Then they will find which division of the Bible that book is in on the right side of the card. They’ll pull the yarn and wrap it around the correct answer. Then they’ll go to the next book down on the card, and wrap the yarn around it. Then they’ll match that book to the division it’s in … and so on. The yarn will criss cross from book to division, book to division, book to division until they’ve matched all 5. Make sense?